In 1988, a new system of rounded and cantilevered roofing was installed over most of the market. Before installation, a prototype was put on display in Jerusalem’s Givat Shaul neighborhood for all those concerned to see. The new system of roofing maintains airflow while also draining away the rainwater. 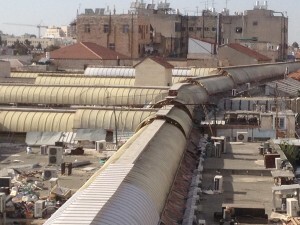 The first streets to receive the new roofs were HaShaked, HaEgoz, HaCharuv and HaTut. Much of this was due to the impetus of Uri Amadi, a leader of one of the local community councils. During the 1980s, he helped organize the merchants and made them realize that the market was in need of serious improvement. He helped create a Vaad HaShuk — a merchants organization. It held its first leadership vote in 1986. In the 1990s, other renovations continued, with repaving and other improvements. The Halva’ah V’Chisachon and Iraqi markets were among the first to see major reconstructions. But still, the real market improvements did little without an improvement in the area surrounding the market. Through the 1980s, the neighborhoods of Nachlaot had become somewhat slummy. The local councils already started making improvements in 1987, and the gentrification of the area continues to today. Enter Ehud Olmert, Jerusalem’s mayor from 1993 to 2003. In addition to the corruption for which he was recently convicted, he also made numerous misguided attempts to clean up the shuk. Rather than focusing on actual improvements that would have worked, he attempted a number of changes aimed at altering the very character of the market. One such rule was an attempt to outlaw loud yelling in the shuk. Anyone who has actually been to Machane Yehuda knows how ridiculous this is, with each merchant trying to out-yell his neighbor in hawking his wares, all claiming to have the sweetest fruit at the cheapest prices. Needless to say, this law never worked. Another mistaken effort was to try to move the shuk a bit to the west. Previously, in fields further down the hill at the bottom of Agrippas Street were a cluster of concrete stalls for peddlers that had been built in the 1940s and ’50s. These were torn down for the construction of Shukanyon, officially opened in the year 2000. 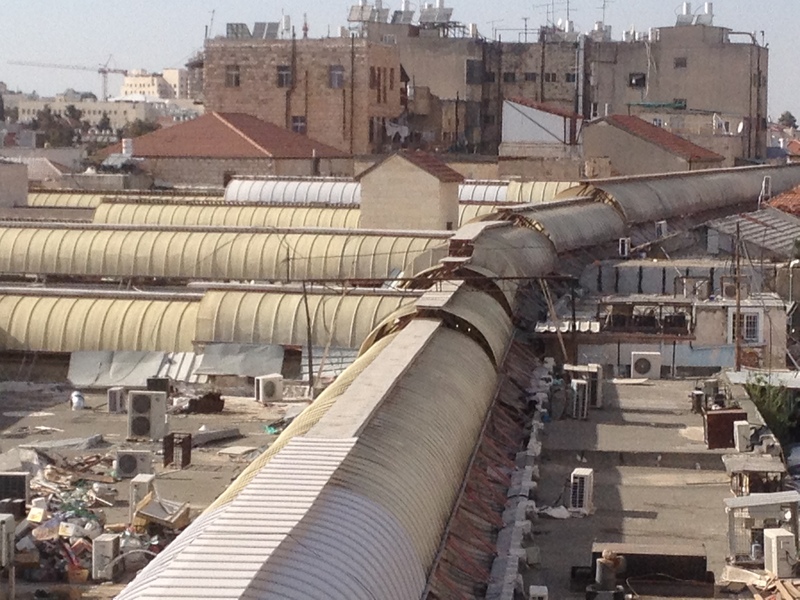 Olmert tried to get the shopowners to move from the outdoor Machane Yehuda Market to the new indoor building. It was pushed as safer and more comfortable due to air conditioning. But of course this effort failed dismally as well. Machane Yehuda’s success and attraction stem, in part, from its character. And these changes would have altered the essence of the market. 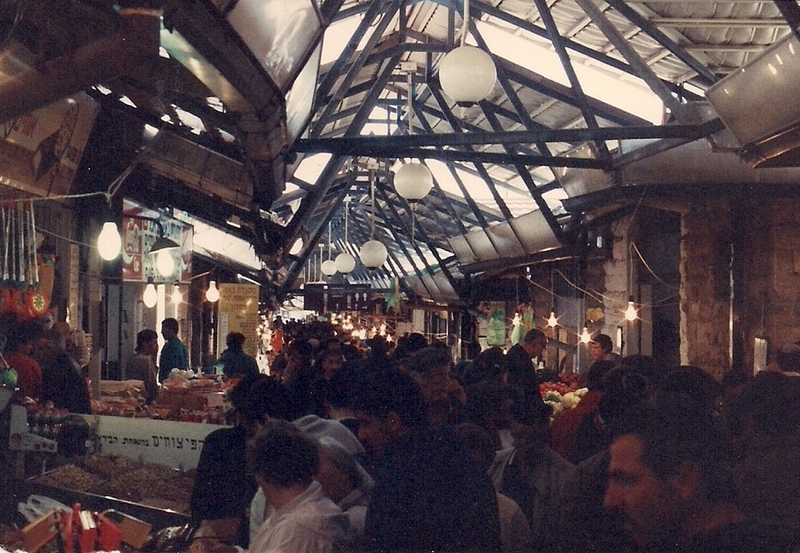 Have questions about Shuk Machane Yehuda? Leave a comment below, or contact me directly.